It was at the beginning of the fourth century, 301 AD, that Christianity was officially accepted by the Armenians as the state religion. It should also be remembered that the idea of Christianity as state religion was an innovation at that time. 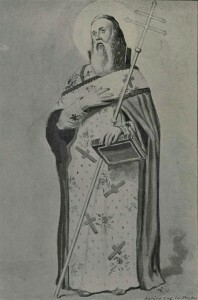 St. Gregory the Illuminator, the patron Saint of the Armenian Church, and King Thiridates III, the ruler of the time, played a pivotal role in the official Christianization of Armenia. It is a well recognized historical fact that the Armenians were the first nation to formally adhere to Christianity. This conversion was followed in the fourth and fifth centuries by a process of institutionalization and Armenization of Christianity in Armenia. Events of the fifth century were critical to the making of a distinctively Armenian Christian culture and identity. The foremost of these was the invention of the Armenian alphabet by the monk Mesrob Mashdots and his compatriots. Translations of scripture, commentaries, liturgy, theology, and histories were made. In addition, the fifth century witnessed the first flowering of original Armenian literature. An example is Yeznik Koghbatsi’s doctrinal work, Refutation of the Sects. The Battle of Avarayr in 451 against Persia, although a defeat for the Armenians under Vartan Mamigonian, has been remembered as critical for winning the Armenians the right to practice their Christian belief. The invention of the Armenian alphabet brought on the Golden Age of Armenian literature. Students were sent to the centers of classical and Christian learning in Edessa, Caesarea, Constantinople, Antioch, Alexandria, and Athens, to prepare themselves to translate the Bible, the liturgy, the important writing of Greek and Syrian church fathers, and classical literature–Greek and Latin–into Armenian. The Bible, translated from the Septuagint, was finished in a few years; it and most of the Patristics were translated within thirty years; but the whole process, including the translation of secular books, lasted some two hundred years. The “Holy Translators” are highly revered in the Armenian church. Many of the works translated have since been lost in their Greek or Syriac original, but have been preserved in the Armenian. Original works were also composed during the Golden Age, including works on history, philosophy, hagiography, homilies, hymns, and apologetics. Later works on the sciences were written. While much has been lost due to the ravages of war and time, many are preserved today in the great library of the Matenadaran (in which, for example, there are almost three hundred manuscripts of Aristotle’s works) in Yerevan and in the Armenian monasteries at Jerusalem, Venice, and Vienna. Thus, the Armenian church provided the Armenian people with a strong national culture just at the time the Armenian state was losing its political independence. The existence of two Catholicosates within the Armenian Church, namely the Catholicosate of Etchmiadzin (the Catholicosate of All Armenians), Etchmiadzin-Armenia, and the Catholicosate of the Great House of Cilicia, Antelias-Lebanon, is due to historical circumstances. In the 10th century, when Armenia was devastated by Seljuks, many Armenians left their homeland and came to settle in Cilicia where they re-organized their political, ecclesiastical and cultural life. The Catholicosate also took refuge in Cilicia. In 1375 the Armenian Kingdom of Cilicia was destroyed. Cilicia became a battleground for hostile Seljuks, Mamluks and other invaders. In the meantime Armenia was having a relatively peaceful time. The deteriorating situation in Cilicia on one hand and the growing cultural and ecclesiastical awakening in Armenia on the other, led the bishops of Armenia to elect a Catholicos in Etchmiadzin. The latter was the original seat of the Catholicosate, but it had ceased to function as Catholicosal See after 485. Thus, in 1441, a new Catholicos was elected in Etchmiadzin in the person of Kirakos Virapetsi. At the same time Krikor Moussapegiants (1439-1446) was the Catholicos of Cilicia. Therefore, since 1441, there have been two Catholicosates in the Armenian Church with equal rights and privileges, and with their respective jurisdictions. The primacy of honor of the Catholicosate of Etchmiadzin has always been recognized by the Catholicosate of Cilicia. Throughout much of its history, the Armenian Orthodox Church has been an instrument of the Armenian nation’s survival. 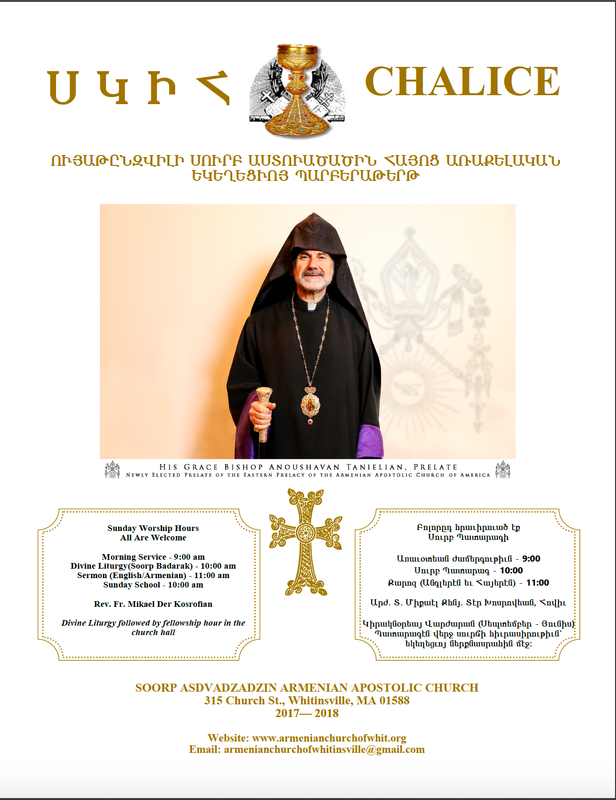 It has been the Church, indeed, that has preserved Armenian national consciousness during the many centuries in which there was no Armenian state. The Armenian Church played a significant role in the succession of Muslim empires in which its faithful were located. Because some of these were divided according to religious affiliation, the leaders of the Armenian were, in fact, also politically responsible for their communities. The Armenian Church was greatly affected by two phenomenon in the twentieth century: the genocide in Turkey, in which 1.5 million died, and the Sovietization of eastern Armenia, which ushered in seven decades of official atheism. The Genocide essentially destroyed the church in Turkey, where only a remnant remains. It has also profoundly affected the way in which the Armenian Church approaches the idea of suffering in this world. The Church thrived in the Armenian Diaspora, and regained its strength in newly independent Armenia (1990′s).